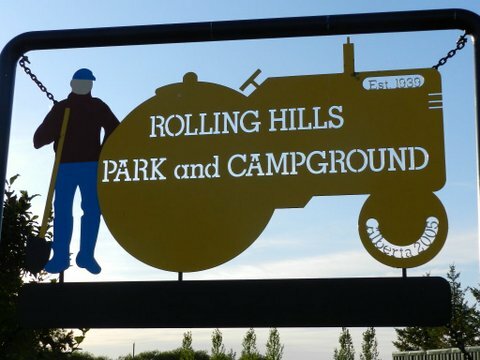 The Rolling Hills Campground is located adjacent to the Rolling Hills Community Centre and is bordered on the east by the Rolling Hills Seniors' Centre. The area is well-sheltered on the south and west by tree lines and is nicely landscaped with evergreens and irrigated grass in the camping area. The campsites are generously proportioned and will accept large trailers and motor homes with ease. A number of sites have electrical and potable water hook-ups available with a large unserviced area suitable for tenting or those not requiring amenities. A covered concrete area serves as a camp kitchen or shaded visiting area. Open fires are permitted unless prohibited by general fire bans. 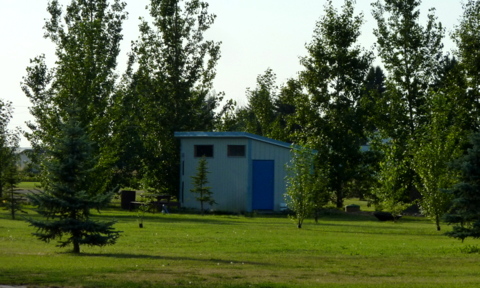 The campground has a newly-constructed bathroom facility with running water, showers and flush toilets. 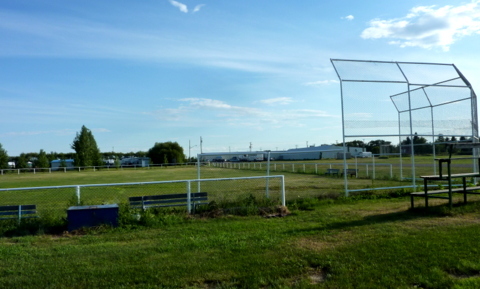 A ball diamond with bleachers, is available for use in the northwest corner of the campground and the well equipped school playground is located within a short walking distance. The area can easily accommodate large numbers of campers with additional bathroom and shower facilities that can be arranged at the ice arena and the community centre - both next door. The ice arena also has an easily accessible RV dumping station for the convenience of campers and potable water is available on site. 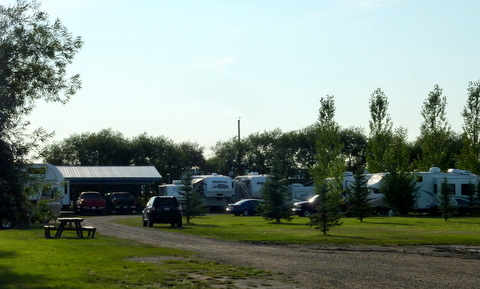 The Rolling Hills Campground is operated and maintained by the Hamlet of Rolling Hills. 13 new power sites for 2016. Please Note: We are often confused with the Rolling Hills Reservoir Campground operated by the Eastern Irrigation District on the south end of Lake Newell. Click here or go to www.eid.ca for more info.